Sauces | Om nom nom! 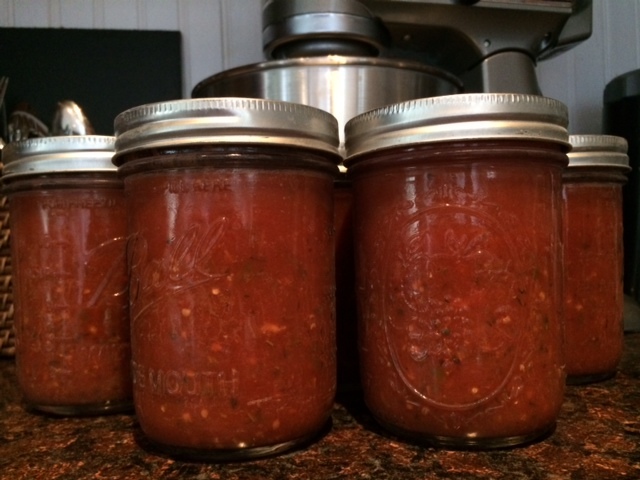 Quick and easy homemade enchilada sauce that really improves over store bought. This is from Gimme Some Oven. I used this in enchilada soup, and it would also dress up any enchilada or even taco dish. This is a mild red sauce. 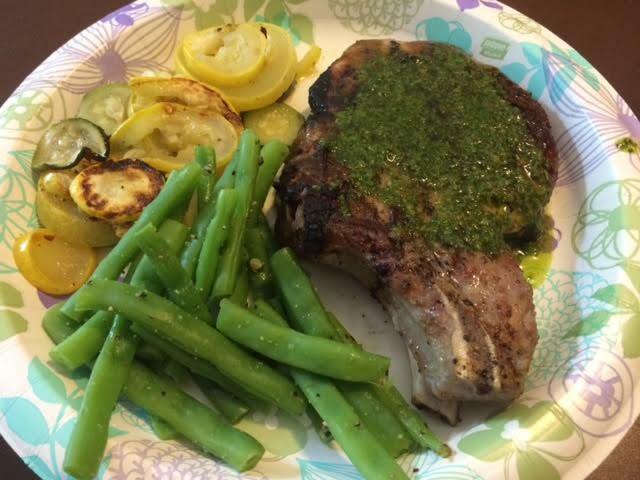 Chimichurri is one of my favorites, and when we were trying to think of something to do with some nice pork chops on the grill, it sounded perfect. Especially given the plethora of parsley in our garden. This was great with the simple brined pork chops with a side of green beans and squash from our garden. Very summery! Got this from Chow and made it as written (except I was out of fresh Oregano, so used dry). Our San Marzanos took a long time to mature this year, but when they did, it was on! This recipe requires 20lb of tomatoes, and I was about 5lb shy so I threw in some sweet lemon boys I picked up at the store. I thought they would go well together. 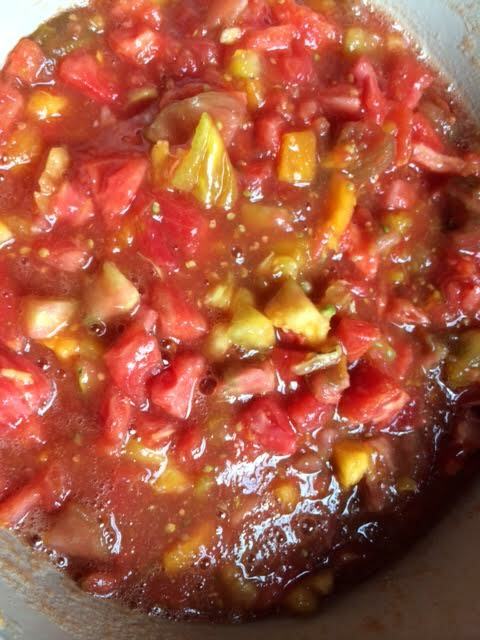 This is a versatile, every day tomato sauce for pasta, pizza, or anything you like. In my epic quest to use up all the basil we’re growing, I made a cream sauce and froze it a few weeks ago…so most of the recipe is that. But it was excellent over baked salmon filets. 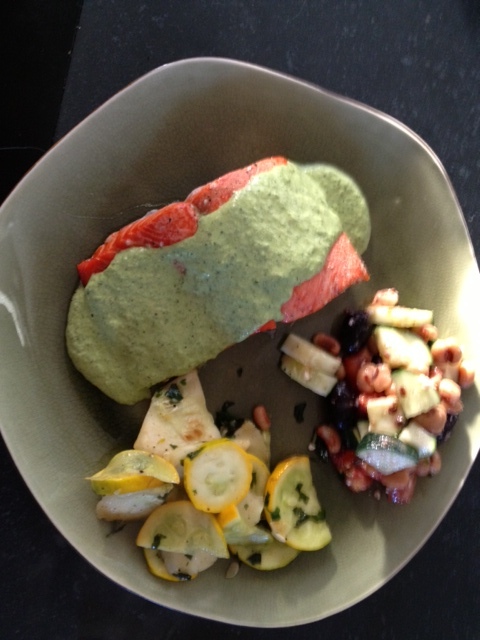 I served this some sauteed squash from our CSA, and a cucumber and white bean salad. The sauce was fantastic…glad we have more in the freezer. That said, if you make this, freeze in SMALL portions – a little goes a very long way. This would do well with chicken or roasted veggies as well. I want to call it tzatziki, but it’s kind of a cross between that and raita…which was exactly like the recipe from Chow said it would be. Excellent with our Greek lamb burgers and salad, and will also make a yummy veggie dip later. We were fans and will reuse. You could definitely serve this as a dip rather than a topping/sauce. Good use of the zillions of CSA cukes we have. 🙂 I found I had to be pretty generous with the salt to brighten it up. I have a good old standby sauce that I use, but I also have a bajillion pounds of basil that need to be used up, and this seemed like a good time to give a different recipe a go – especially one that could be canned. This was outstanding, and pretty easy (if labor intensive). I’ll be making this one again for sure. 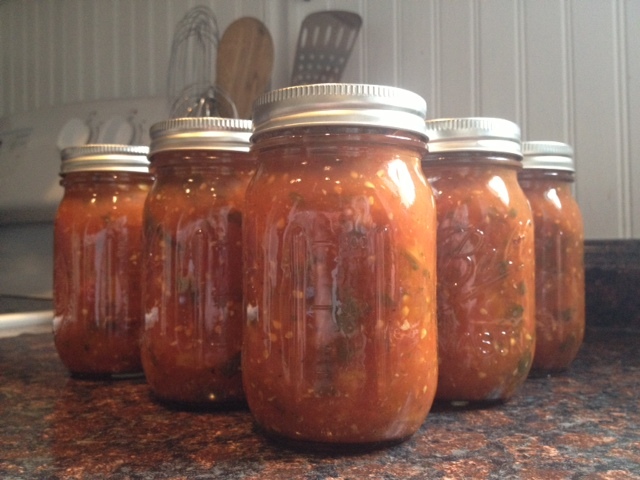 It has a little bit of a kick, and will be great in both pasta or vegetable dishes. Doesn’t get easier than this and salsa verde is my favorite. I’m kicking myself for not growing tomatillos this year, but maybe next when we have more space in the garden. I used this for shredded chicken in salsa verde, but it’s great with anything.